The first thing that came to mind was a groovy flower theme. 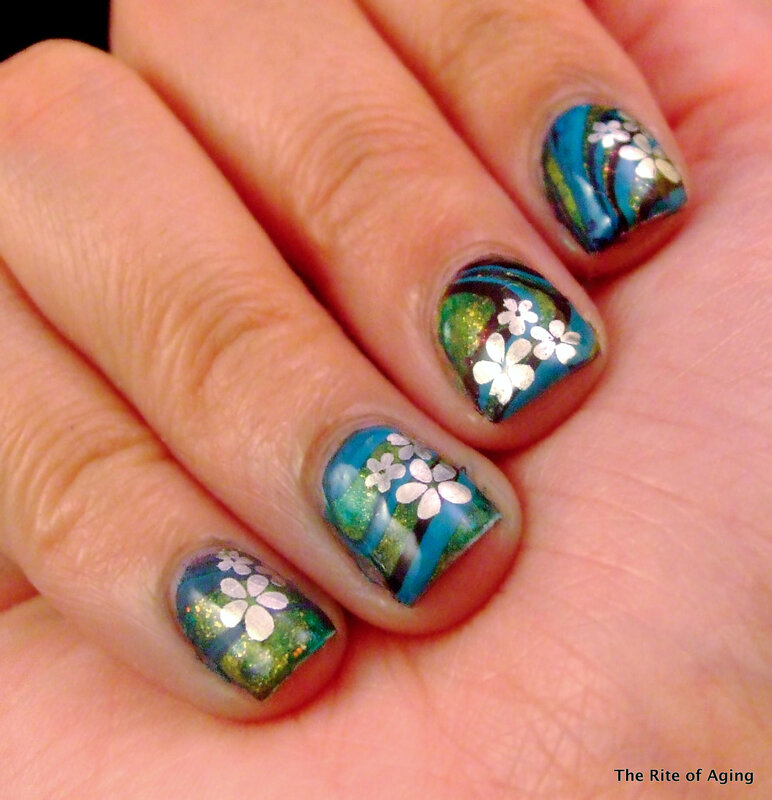 However, I’ve done this a couple of times before (nail art here and here) so I wanted to go with something different. I remember a really cool galaxy/gemstone-esque nail art I did back in December (linked here) that I always wanted to revisit. I decided to try something similar with different colors and a flower stamp! I hope you like it! It definitely does not have the same effect as the original but I think it came out looking pretty good anyways! I stamped with Bundle Monster plate BM 311 and Essie No Place Like Chrome. What do you think? Is the teal a little too much? I considered using Zoya Yara instead but did not think it would show up. I wanted to use a creme color because the base was sparkly. Did this look work?? Should I have added INM Northern Lights on top to make everything sparkly?